NEWPORT BEACH — The second public meeting discussing a new fee and lease arrangement for Newport Harbor’s commercial marinas revised and clarified some areas of confusion while prompting further discussion in others. The first meeting, held March 13, had Newport Beach City Council members getting a presentation by city manager Dave Kiff on a planned new rate structure for the lease fees paid by the harbor’s commercial marinas. The April 5 meeting of the Harbor Charges Committee was more of a public workshop, with Kiff giving another presentation and allowing the public to ask questions about the planned new fees. What is concerning to commercial marina operators is the planned fee increase for dock space — which would go from a 36-cent-per-square-foot yearly permit system to a lease agreement charging 20 percent of gross income — a rate that some marina owners claim to be more than eight times higher than their current rent. However, the 20 percent number could change, as the Harbor Charges Committee’s updated proposal stipulated that it will be revisiting the 2006 appraisal that figure is based on. That could change the percentage amount required to lease tidelands area. In addition, Kiff noted that the fee increase is aimed at the harbor’s 17 commercial marina operators only — and that a more tailored approach would be forthcoming for boat rental sites, restaurant dock owners, fuel dock operators and other commercial marina uses. Also, the revised commercial marina fee plan deleted the proposed 4 percent of gross income to be “set aside” in a city-held account for needed future improvements. Instead, the new plan would require marinas to maintain certain standards imposed by the city. Leases would be awarded in a five- to 30-year range, depending on the condition of the marina upon signing. The increase to commercial marina charges in the harbor is just the latest harbor fee to get the city’s attention since Fall 2010. At that time, the city council approved an increase to city mooring fees to 14 percent of the average annual dock slip rate. In December 2010, it increased slip fees at the city-owned Balboa Yacht Basin. The moves are part of a harborwide effort to gain more revenue from city tidelands to help offset the cost of more than $100 million in harbor dredging, seawall repair, beach maintenance and more maintenance that will be needed over the next 20 years in Newport Beach. The identified projects are the result of more than a year of work by Newport Beach Harbor Resources manager Chris Miller, along with Tidelands Management Committee members and its Citizens’ Advisory Panel to identify projects and their costs in the harbor. The plan, titled the Tidelands Infrastructure Master Plan (TIMP), is still being worked on, with the prioritization of projects currently being evaluated. TIMP is expected to be funded through the city’s General Fund, the Tidelands Fund and federal and state grants. During the meeting, Kiff was quick to point out that while the Tidelands Fund (which covers Upper and Lower Newport Bay, along with city beaches) runs a $15 million deficit annually, the new fees are not being introduced to cover the difference. He said the rates need to be changed to meet state-mandated market values for the use of public lands. City council members Mike Henn, Ed Selich and Stephen Rosansky are all part of the Harbor Charges Committee, and they were present for the April 5 meeting, answering questions from the public. Concerns raised during the meeting included the change of the city’s fee structure from a permit to a lease, which some commercial marina owners see as the city now having the ability to meddle in their business. 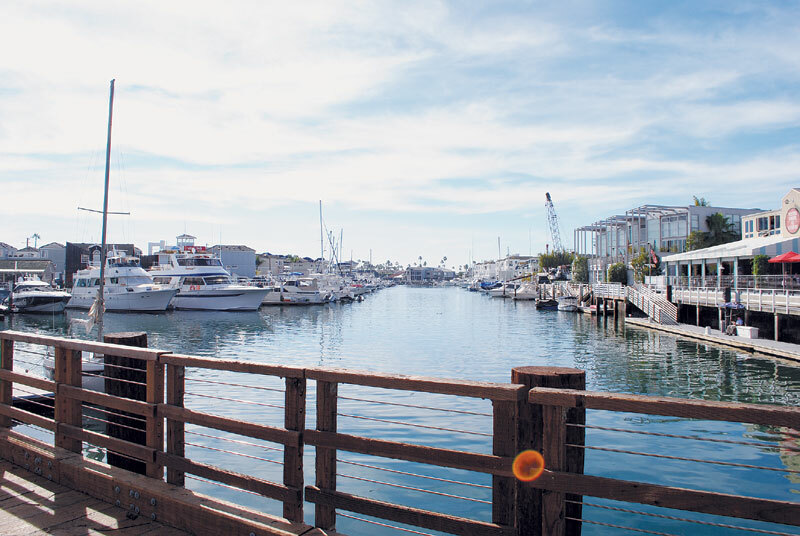 Henn answered that leases are common practice in most Southern California marinas, with areas such as Dana Point, San Diego and Marina del Rey utilizing lease options with marinas in their harbors. While boaters and marina operators at the meeting agreed with the need to update the 2006 appraisal that the city plans to base its new gross income percentage on, many questioned the original appraisal and why a completely new appraisal was not being developed instead of just an update. The 2006 appraisal, which was completed by James Netzer, found that submerged tidelands in Newport Harbor that are not leased with the adjoining upland parcel have a market rent of 22 percent of the gross income, tidelands that are leased with the adjoining upland parcel have a rent of 27-percent of the gross income, and fair market rent for a residential pier used for commercial uses is 20-percent of the gross rental income. But, a 2010 appraisal on Lido Marina Village conducted by George Jones found a fair market value for a commercial marina in a hypothetical 25-year lease to be between 15 percent and 18 percent of the gross slip rental income. In addition, Jones conducted a harborwide appraisal in 2001 that found annual permit square footage prices at about 53 cents per square foot. Gary Pickett of Ardell Marina, which operates on 56,000 square feet of tidelands area, questioned why Jones’ appraisal was not chosen to be updated. Henn stated that the Netzer appraisal was chosen because it was based on market values more so than the Jones appraisal, which he said took more of an “elegant economic model” approach. He also noted a possible conflict of interest that would be involved if the Jones appraisal was used, as Jones rents office space for his appraisal firm on Newport Harbor’s tidelands along Lido Peninsula. “We believe Netzer was a good choice, because he did an appraisal that we think is efficient, quick and appropriate,” Henn said. Other questions arose during the meeting, with one speaker wondering what the Newport Beach Harbor Commission had to say regarding the new fee structure. “I have purposely not taken this before the Harbor Commission, because I think there are a number of conflicts of interest with that group, and most of the commissioners are harbor permitees,” Kiff said.